Torralbenc opened in May 2013 as the first luxury boutique hotel for the island of Menorca. Set deep in 172 acres of peaceful countryside, with centuries-old farm buildings at its heart, Torralbenc is backdropped by views of the Mediterranean. 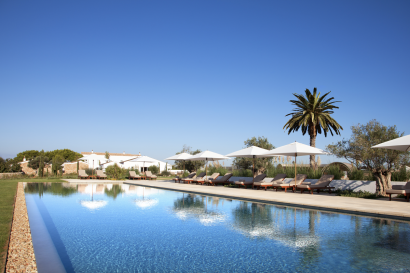 Torralbenc brings simple, understated contemporary luxury to the east west of the island – with just 27 rooms and cottages, a salt-water swimming pool and delicious local food. 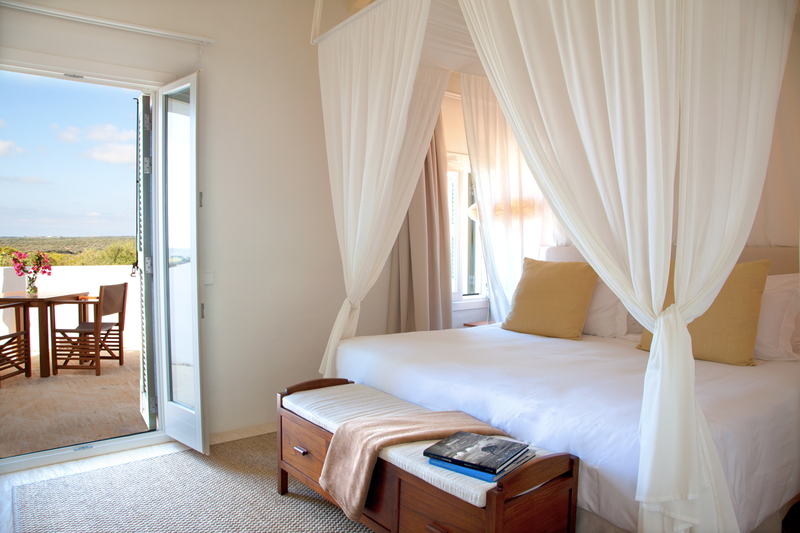 Guests can borrow bicycles to cycle to the beach, relax with a private yoga class or call on a therapist for a Torralbenc Massage. 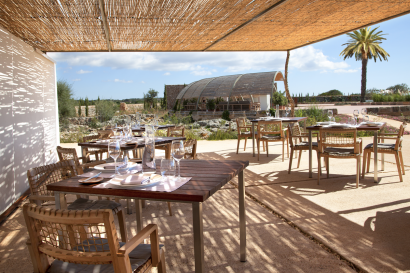 This traditional old Menorcan farm is set close to the coast in rolling farmlands and vineyards where the land has been worked for centuries by local people. 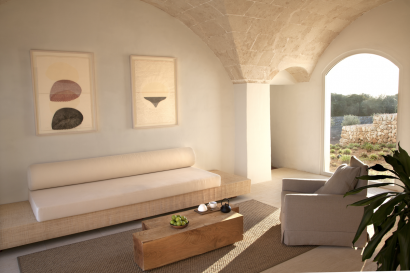 On a small hill – and commanding views of the Mediterranean – the collection of white – washed farm buildings have been carefully restored in a traditional Menorcan style. The integrity of the architecture and the natural environment has been respected, whilst the designers have created deeply comfortable contemporary interiors. 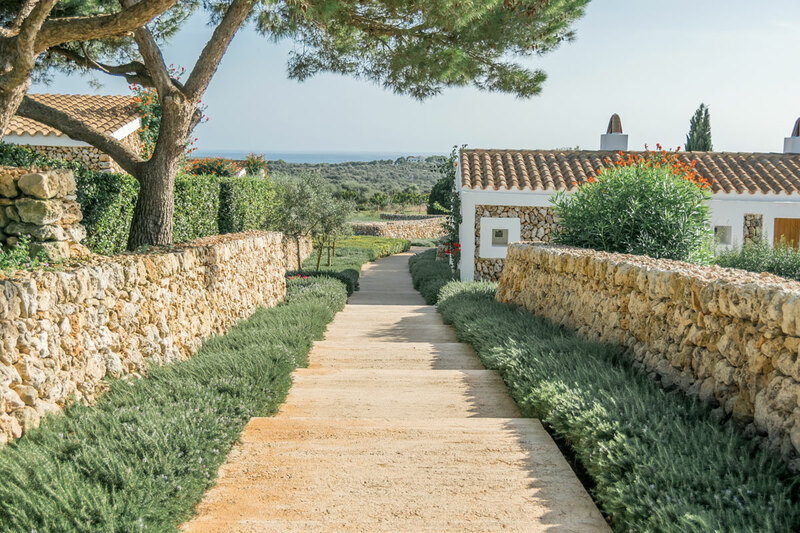 Set in Alaior municipally of Menorca, sits between Mahon and Ciudadela, close to some of the most extensive Sandy beaches on the island and 10 min from the Menorca Airport. 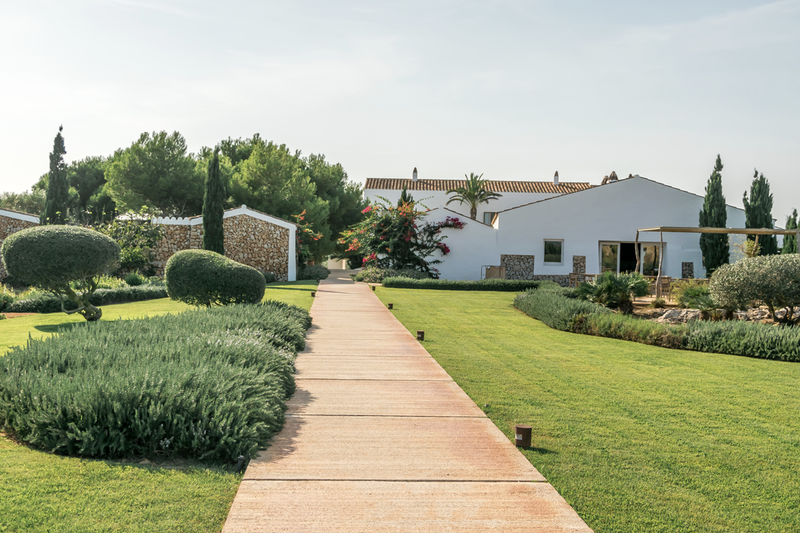 For guest willing to explore the island and enjoy the sea, Torralbenc is set just 4 miles from the coast – while the sea is visible on the horizon from many areas of the hotel, Guest can easily reach nearby beaches by bicycle or car. Few minutes from the hotel the guest can visit some of more spectacular Talaiots or if they prefer can do a route of Cami de Cavalls, to Cala’n Porter. Another good option is a relaxing day in our wellness center or by our Yoga and Pilates teacher. 1 Pool Cottage: (45 sqm) The Pool Cottage has a spacious and comfortable terrace with sea views and a private plunge pool that blends with the colours of the sea. 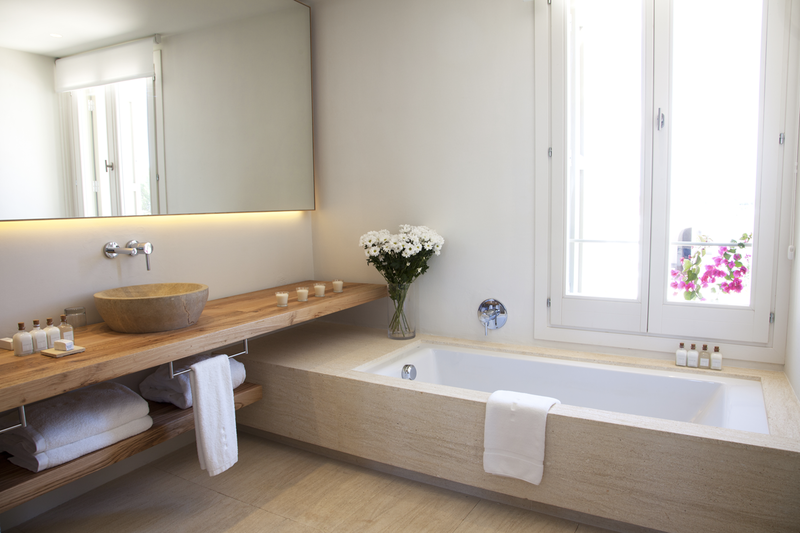 This room represents the quintessence of the peace and relax that every traveller is looking for in Menorca. 1 Garden Cottage:(45 sqm) The Garden Cottage is a stand-alone building that is located in a private garden area. 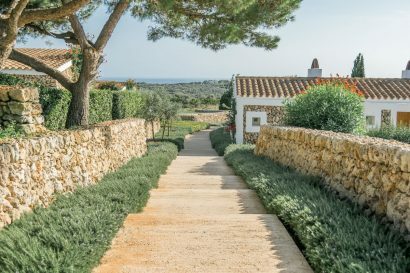 It keeps the original rustic and Mediterranean architectonical elements of the traditional Menorcan farms, like the stone walls and the wooden gates. 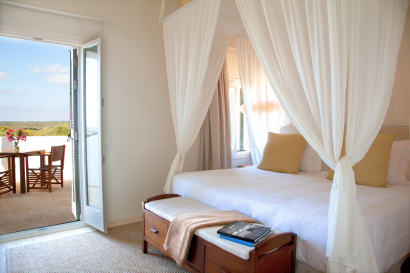 This room has a cosy bedroom and a separate and independent living room with an outdoor patio in between. 4 Albenc/Double:(25-30 sqm) The Double Rooms of Torralbenc are located in the main building. They combine limestone, wood and natural fabrics, and they offer light and cosy spaces where guests can relax. 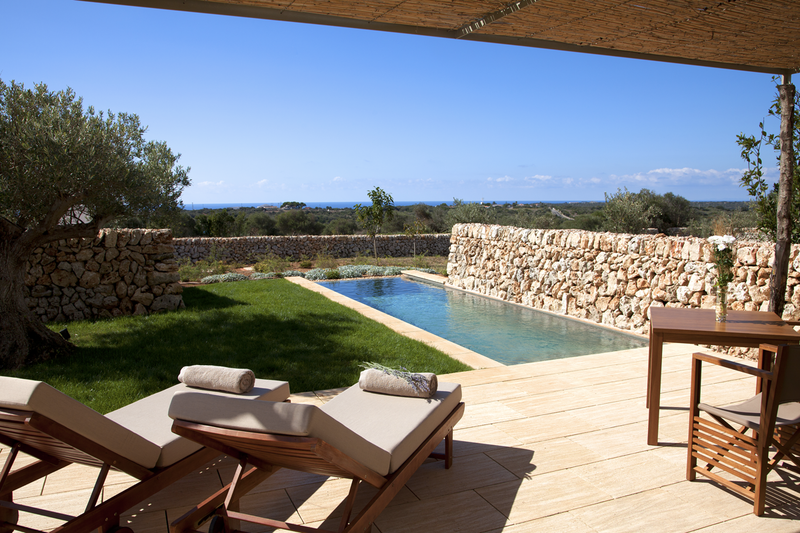 The rooms have outdoor terraces with views to the rural nature of Minorca, where magic spots surrounded by centenary trees and native vegetation have been created for guests to disconnect and to enjoy the peace these spaces have to offer. 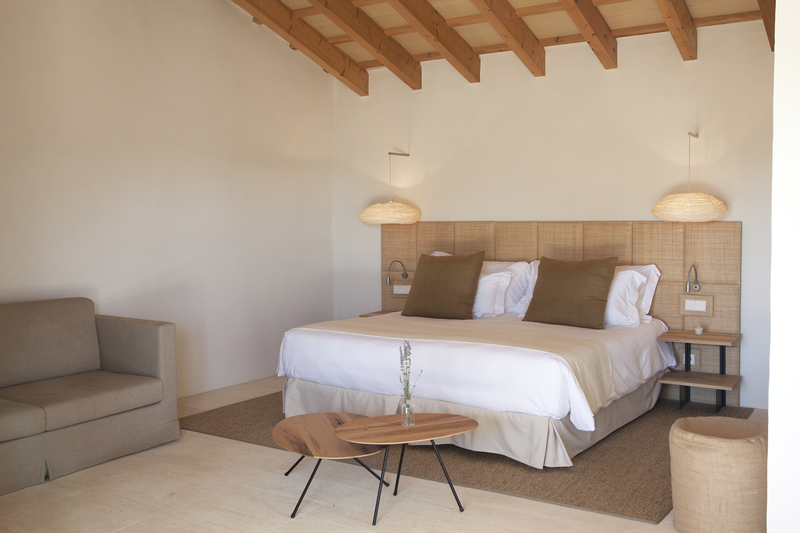 11 Superior:(30-35 sqm) The superior rooms are spaces full of Minorcan peace and charm located at the heart of Torralbenc. They offer the possibility to enjoy clear views from their terraces or private balconies in a relaxed and cozy atmosphere, surrounded by fruit trees, olive trees, and local nature. Services: Clear views + same services than Albenc Rooms. Services: Sea views + same services than Albenc Rooms. Our restaurant in Menorca is the result of a gastronomy created with seasonal products sourced from local artisan suppliers. This is our way to preserve the Minorcan tradition and culture. Get carried away by the recommendations of our chef Luis Loza, and dive into this Balearic gastronomic experience through our Menu and our Tasting Menu. 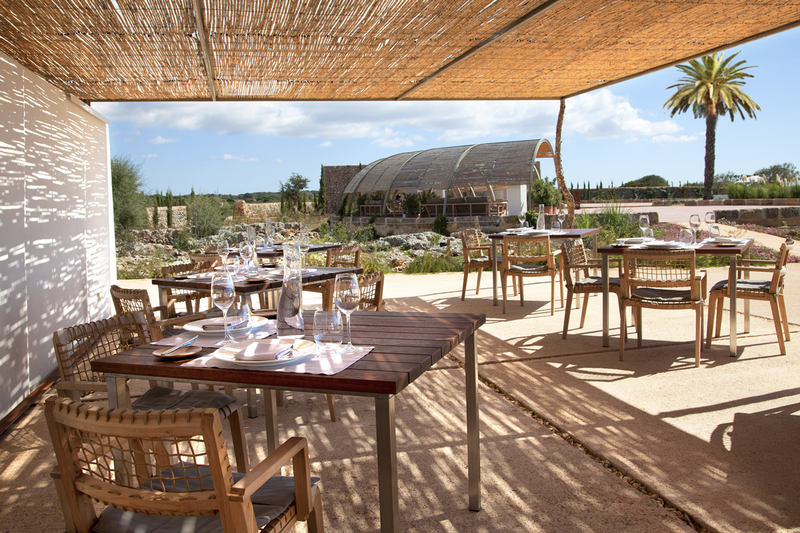 Our new grill area completes Torralbenc restaurant by offering the best meat, fishes and vegetables with that characteristic charcoal aroma and can be enjoyed in our restaurant terrace until the end of summer. Only bed and breakfast plan. Visit our Wellness Area to enjoy a moment of relaxation with beauty rituals, massages, and specific treatments made with exceptional products from the prestigious brands Natura Bissé and SeaSkin. An internal journey to balance and satisfaction with Mediterranean essence thanks to an excellent service, a thorough treatments menu and an idyllic atmosphere of harmony and relax. The hotel has an outdoor salted water pool with panoramic views and a Technogym fitness center.